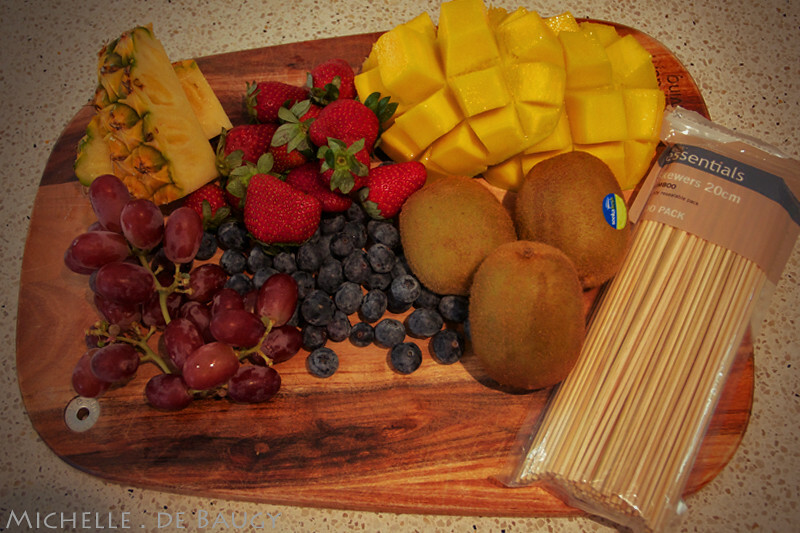 Our Life Down Unda: party snacks. Last weekend we ventured over to a friends house for a birthday party. I have seen and read about a few party snack ideas here and there that I have been wanting to make and this seemed like the perfect occasion to give them a try. This first idea comes from a picture I saw on my friend Lisa's blog. I had seen this before but never remember this idea when the actual time comes to make something for a get-together. 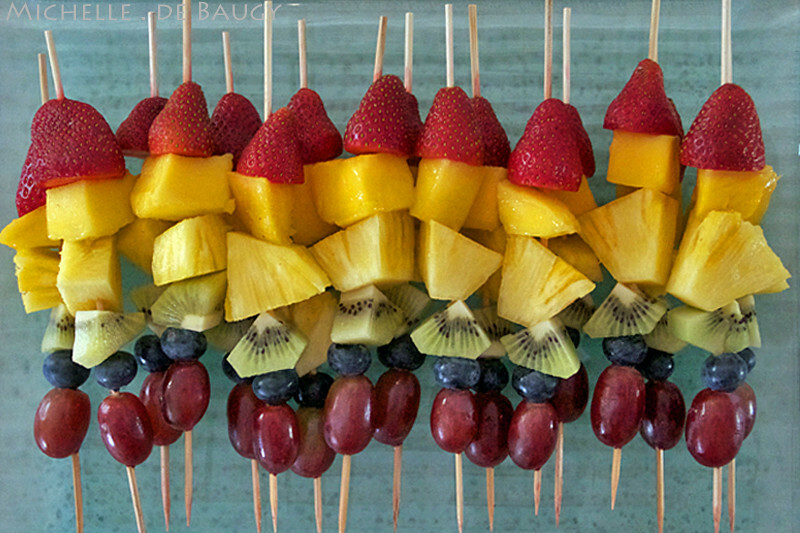 Now this doesn't take a genius to make these, but I thought they were really cute, healthy and a perfect way to welcome Summer. 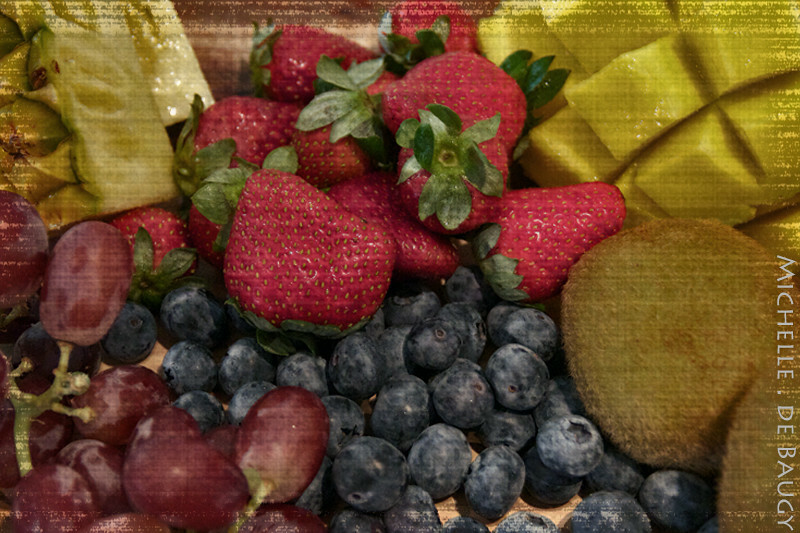 I used strawberries, MANGO, pineapple, kiwi, blueberries and purple grapes. 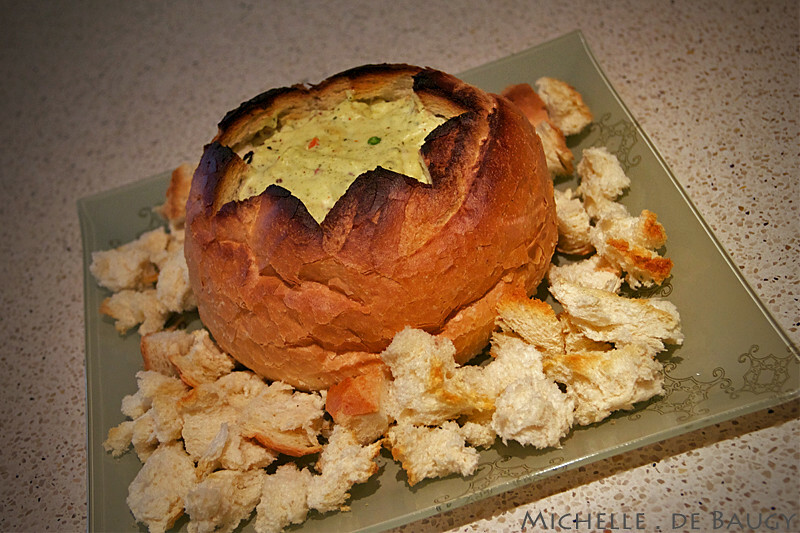 Party Snack 2: Cheese and Bacon Cob Loaf Dip. This idea came from a whole mixture of things I have seen. A few weeks ago you might remember my friend Demmi making something similar. This time I changed a few things and kind of made it my own. 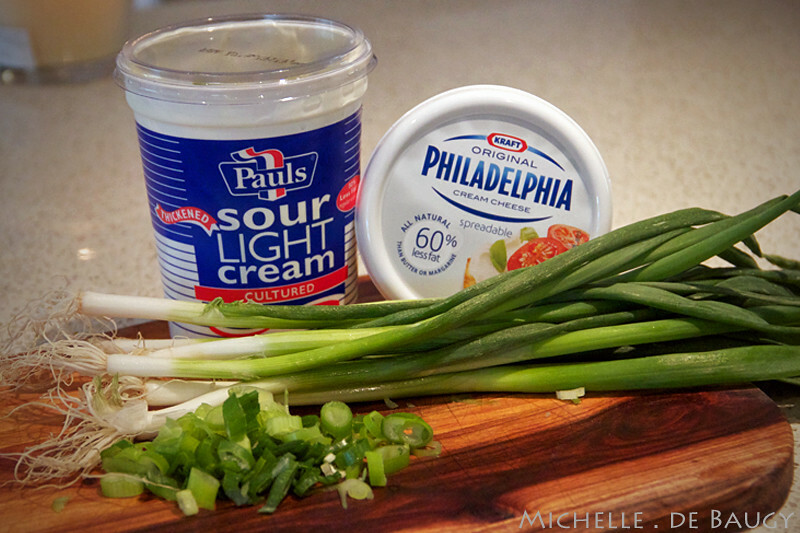 I used: light sour cream, cream cheese, shredded tasty (or cheddar for the Americans) cheese, spring onions, diced bacon and spring vegetable soup mix. I started by dicing the onion and cooking the bacon pieces. I have also seen people use bacon bits instead of fresh bacon. 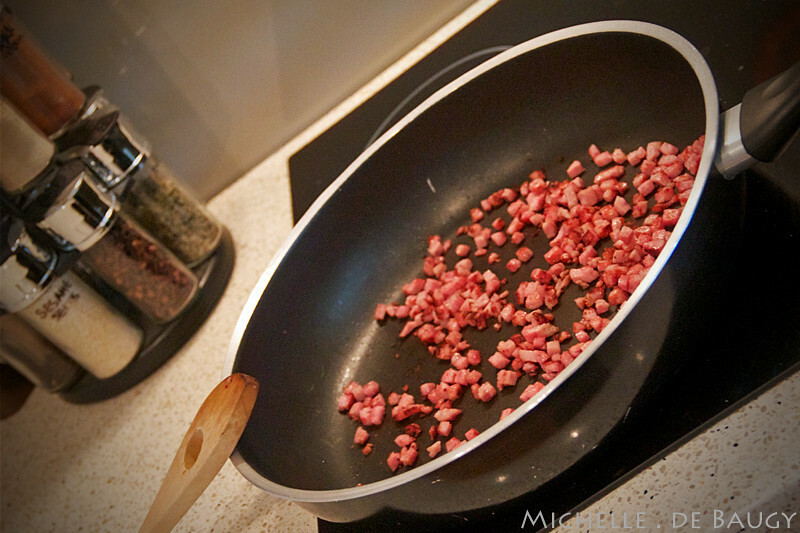 I am not sure if we have those here... so I just used raw diced bacon and cooked it myself. 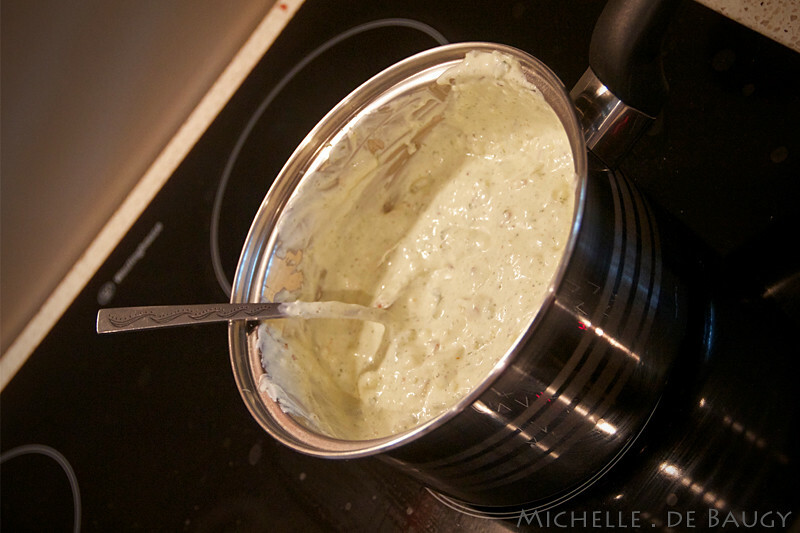 Then you want to mix all of your ingredients in a pot and put it over a low/medium heat. 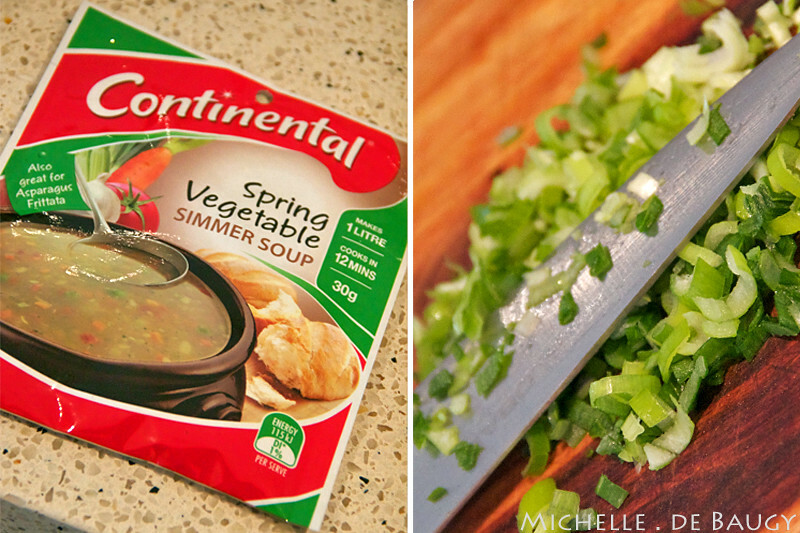 This just helps speed the process up and ensures all of your ingredients are well combined. 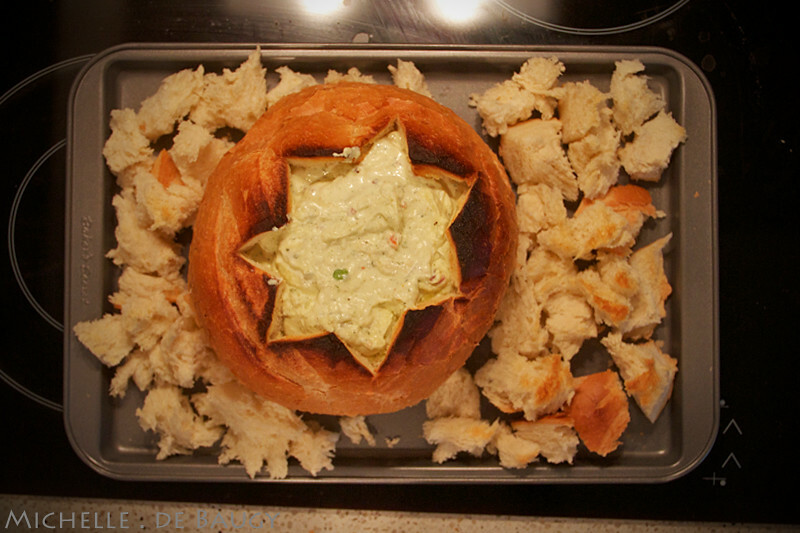 Next you want to pull out the majority of the bread (making a giant bread bowl for the dip). 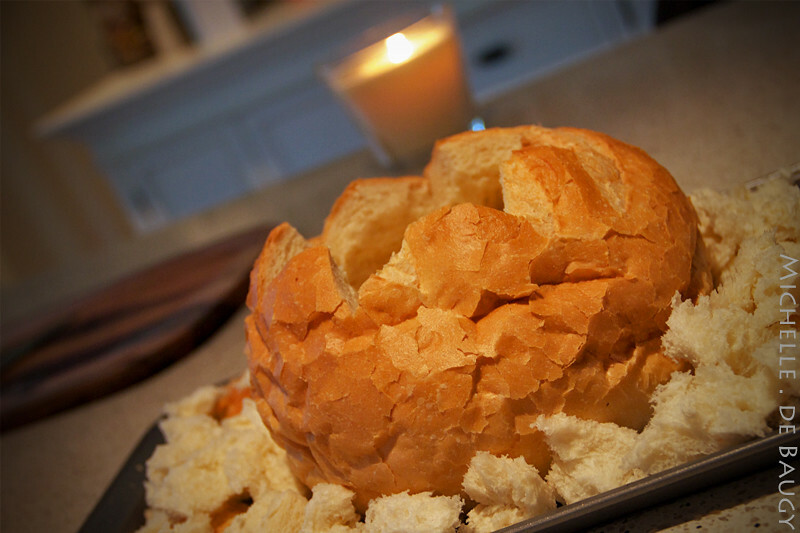 At this point, I like to put the empty bread bowl and dipping pieces in the oven to start getting crispy. 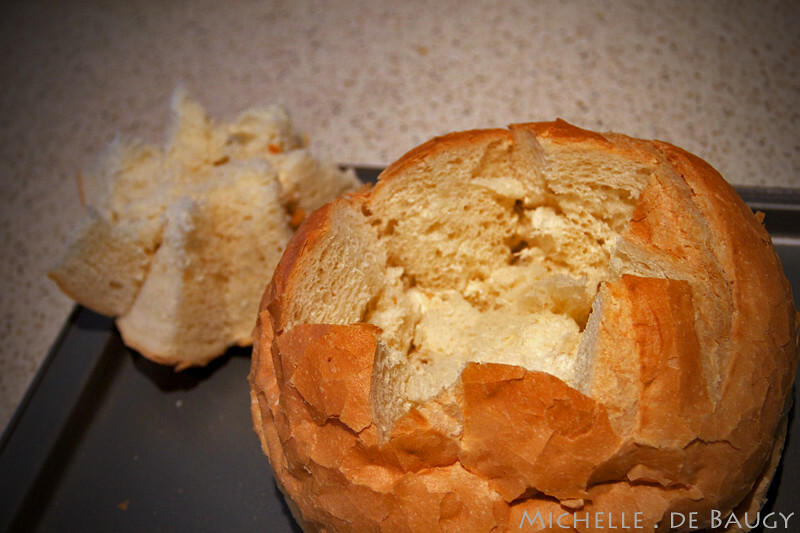 I also think toasting the inside of the bread bowl before adding the dip helps lessen the sogginess... SOGGINESS- a very technical cooking term, haha. When your dip looks something like this, it is ready to go. Don't hesitate in tasting it at this point... a little finger lick never hurt anyone. 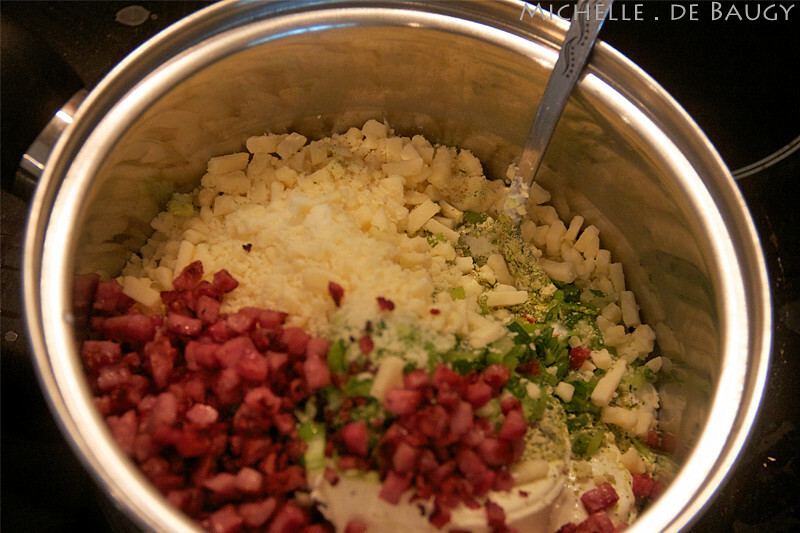 Once your dip is ready, take the empty bread bowl out of the oven and pour the cheese and bacon mixture in. 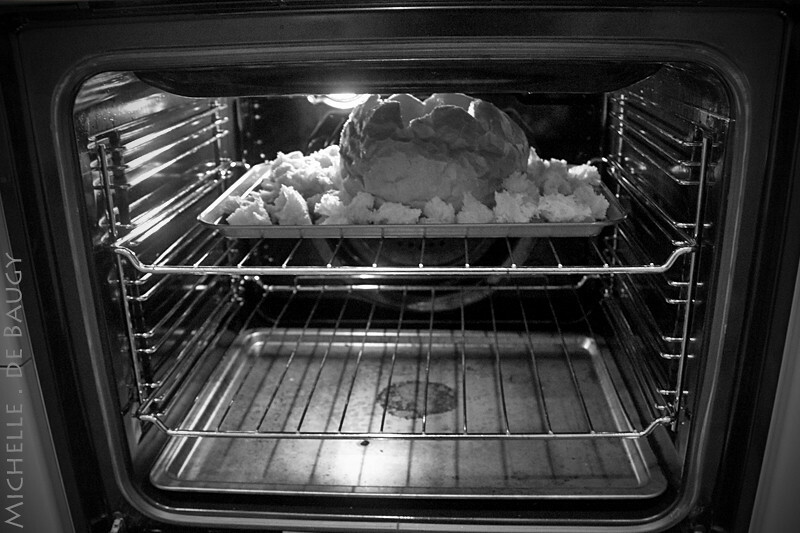 Looks like this :) If I have the time, I like to put the whole thing back in the oven to really heat all the way through. Once you are ready to serve, move to a pretty plate (or not) and eat! I wasn't sure how this recipe was going to turn out considering I just made it up as I went... adding this and that... but everyone seemed to really like it and I didn't think it was too bad myself. However, I think I might use more bacon next time. 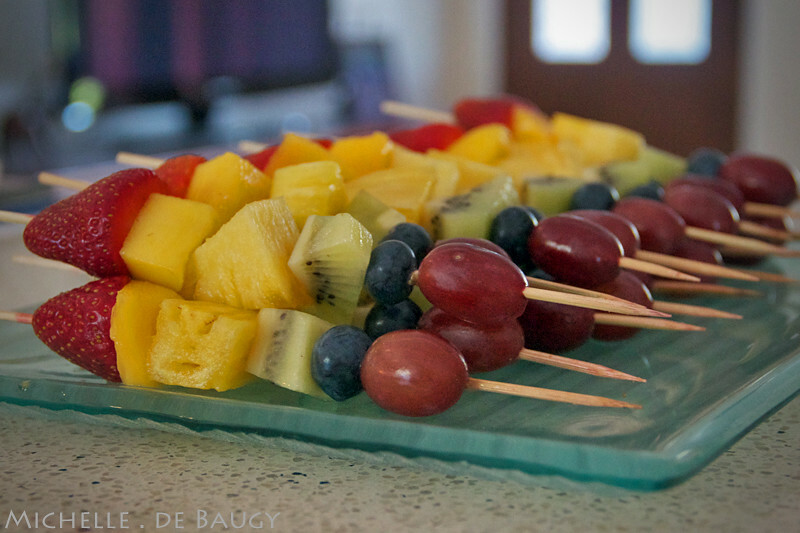 You know, to off set the fruit kabobs. What are you favourite party snacks to make for your friends? Got any recipes you want to share?? 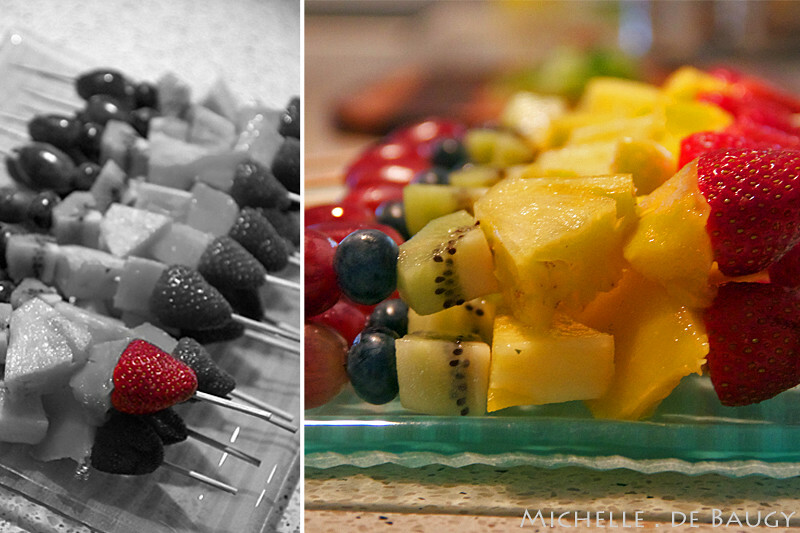 Aww thanks for the shout out :) The fruit kabobs look awesome! I'm so jealous you get to make them now - I have quite a while until it's summer here! !